Ellie Goulding fans rejoice because, after months of single releases and the release of all the lyrics to her upcoming album, the day has finally arrived. On Friday, Ellie Goulding's Delirium album was released for the world to enjoy, and download, and listen to again and again forever and ever. However, maybe you can't afford to buy the album right now. Maybe you're not at home, and you don't have an iPhone, so it's going to be some time before you can download the album the way you want to. Heck, maybe you just want to stream it right now without going through the whole process of buying and downloading an album. That's why the curious might be asking is Ellie Goulding's Delirium on Spotify? Rejoice again, Goulding fans, because the album has been streaming on Spotify since its release, and it's every bit as amazing as we imagined it would be. The pop star has always been great at pouring a great amount of emotion into dance hits that you feel the need to get up in the club and bust a move to even while you're singing your heart out. From "Love Me Like You Do" to "On My Mind" to "Army," Goulding is singing about real issues like the breathlessness of a new relationship, the danger of entering a relationship that you know is wrong for you, and the strength of best friends and girl squads. However, she's also putting out the kind of music that is so catchy and danceable that the words stay with you for so long that you have no choice but to absorb her message — without being preachy. 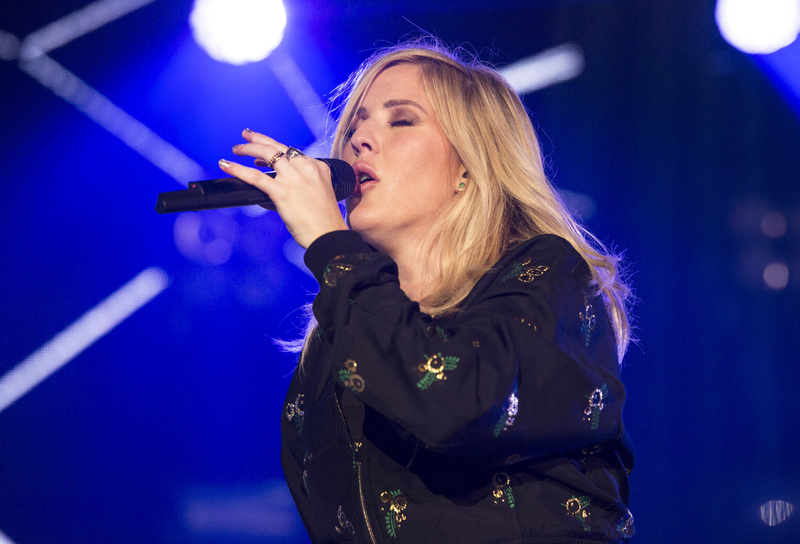 Delirium is an amazing addition to Goulding's discography and it seems like fans agree. They have been squealing over the album on Twitter Friday morning, congratulating Goulding on a job well done and listening to the album on repeat. So join the fans, and prepare for the Delirium Listening Party that Goulding will be hosting on her Twitter on Friday as well. You won't regret listening to this one over and over, and the fact that it's on Spotify just gives you even more incentive to do it.